It’s amazing how we connect over food. Food has the magical ability to bring together people of all cultures, break barriers, it joins us, create stories, create memories. For me, food has been significant in my life. Some of my earliest memories of food are dusting powdered sugar on my mother’s freshly-baked, raspberry linzer cookies, or how she and my father would slave away for days in the kitchen canning homegrown bounty. My childhood is rooted in these types of memories, and for that I am so grateful. My parents taught me to appreciate this thread of life. And so I dedicate this post to them…to the two of them, for teaching me the wonderful art of epicurism. 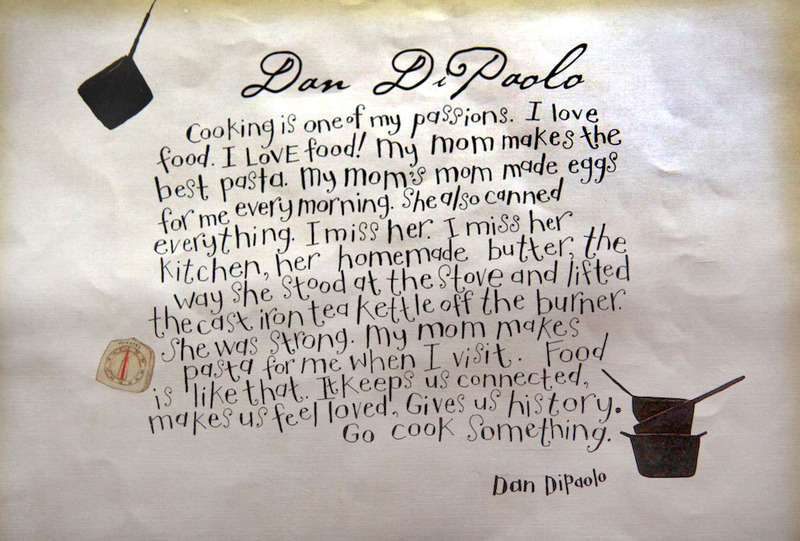 So, in Dan’s words….go cook something. And even better, share it with a friend.